Research visit: Agent based model of norm migration between groups. Browse: Home / Research visit: Agent based model of norm migration between groups. I travelled from Utrecht University, where I am currently doing my PhD in Computer Science, to the Stockholm Resilience Centre (SRC) to work with Nanda. I am one of the few ESRs in SAF21 project whose main concern is agent-based modeling. Nanda works with modeling in the field of fishery for about 4 years now. I know her from SAF21 meetings and of course attending Social Simulation Conferences. So, it was natural to do a secondment at the SRC because this is where Nanda is. Of course, visiting SRC as a high standing research institute that works on understanding, governing, and managing social-ecological systems was another strong reason for me. At that point, I designed a norm framework and I wanted to validate the framework with good examples and intensify it by receiving feedback. After a month and a half, we designed a nice simulation based on the norm framework which is simple enough to keep track of and complicated enough to show the dynamicity between social life and other aspects of life in a small fishery village. Now, we are working hard to organize and analyze the simulation results and write an article based on them. It was my first secondment and very fruitful. Working with Nanda was very interesting to me. She is an organized and creative person. 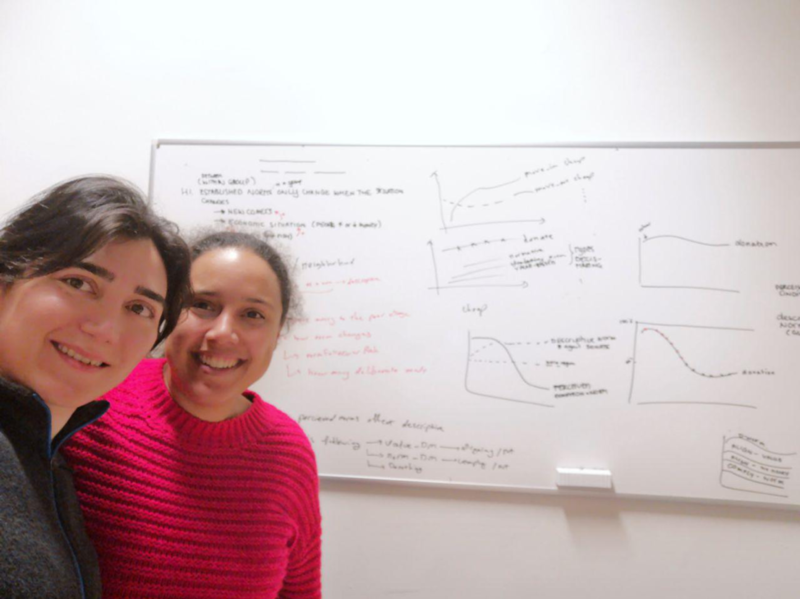 I learned from her to catch up and talk with other scientists, get to know their work, and ask for their feedback on my work. I enjoyed my time having meetings with Maja’s group; such an excellent dynamic group. Having weekly meetings to share your ideas, knowledge, experiences in a friendly group and still getting useful critiques and questions. What can be more productive than this?! I enjoyed spending time in SRC in an environment which people have broad variety of disciplines and still work on the same subject (sustainability). I think, now is time for inter/multi/cross-disciplinary research. So, spending time in SRC was exciting for me. I wish I had more time to collaborate with other researchers there as well. I feel I improved my work experience and enriched my network. I would like to take this chance to thank you Nanda, thanks Maja’s group, thanks SRC.